A quaint little Indian restaurant, Friozian, found near Captain A and Don Mertos restaurants. If you have a thing for Indian cuisine, then you should check out this place. Not just a culinary adventure, but the ambiance of the place will transport you to the land of spices. 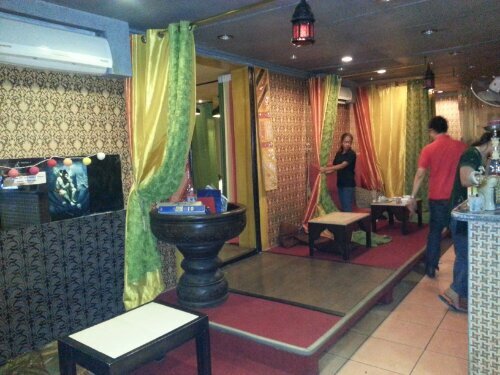 The staff are very friendly and I heard that their cook give palm readings from 2-5pm, Mondays to Saturdays. You just need to order a minimum of Php50.00 (coffee). Unfortunately, we went there a little past 6pm, so we missed this. 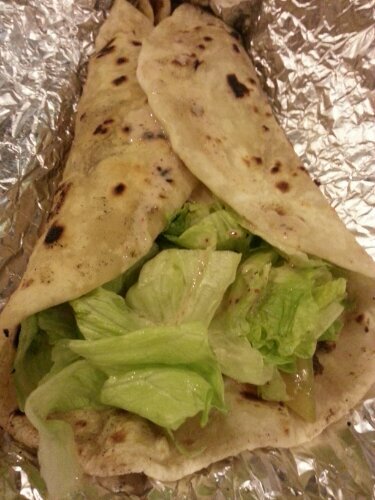 An authentic Indian Shawarma that cost P125. It can serve up to 2 people. It tastes really good but a little messy to eat. If you’re a big Indian Food fan, you will be familar with this dish. It’s a popular choice in most Bollywood restaurants. 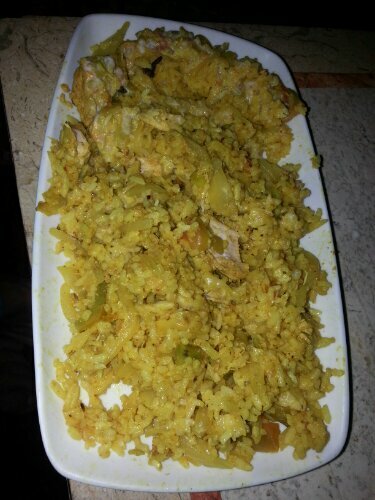 It has chicken flakes in curry rice with lots of spices. Their version is very tomato-ey, making it a bit sour. Still really good though. It costs Php180 but can serve up to 3 people. This one’s made out of classic yougurt, so if you’re not a fan of this snack, I won’t recommend this to you. However, if you are, then drink up! You can order this for only Php65. All-in-all, we went out of the restaurant pretty satisfied. If you’re looking into trying new places in the city to dine in, try out Friozian. I’m back in Manila for training and our company’s sales kickoff. After a day filled with endless information, joanna (my roomate) and me, decided to treat ourselves to a small but sumptuous dinner. Our hotel is located at Pasay Road, it’s called Copa Business Hotel. I love it here because it is very near numerous restaurants and shopping centers. 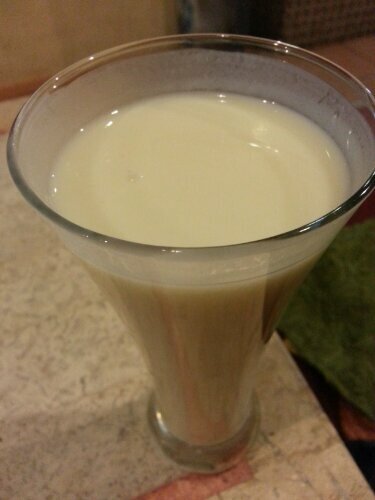 We picked Sandaya Japanese Restaurant because it was the nearest to our hotel. 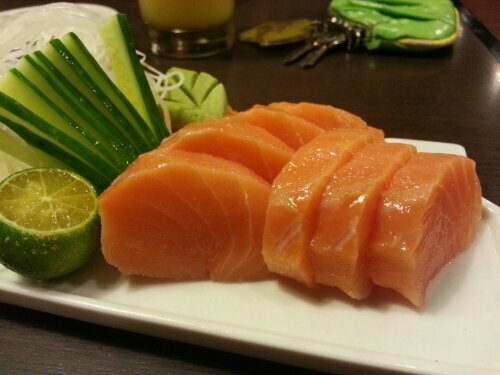 I had my favorite Salmon Sashimi. It wasn’t served very well because some cuts were still frozen. Nonetheless, I was able to finish everything. I also tried their shrimp tempura, which was perfect for me because it was fried to a golden crisp. 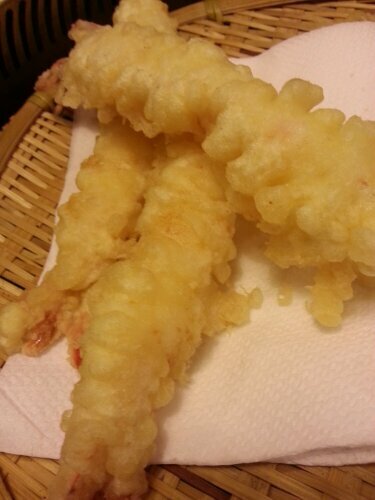 Unlike other tempura dishes that are clearly using recycled cooking oil. 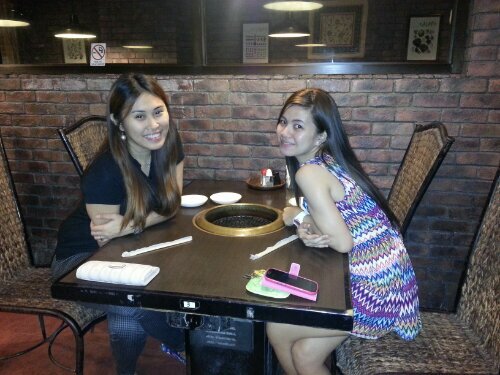 All in all, we had a satisfying Japanese dinner.